Artificial muscles – materials that act like natural muscles by contracting, expanding, and rotating – have always been plagued with limitations. Super-strong materials were too expensive, while inexpensive materials displayed low efficiency. 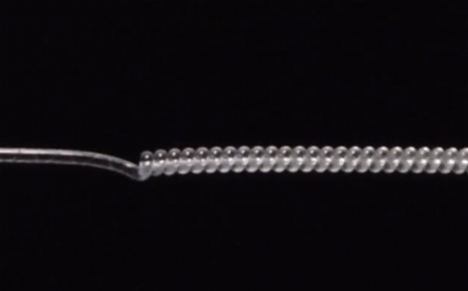 Now it seems that an effective answer has been right in front of scientists, fishermen, and crafters this whole time: plastic fishing line and sewing thread. 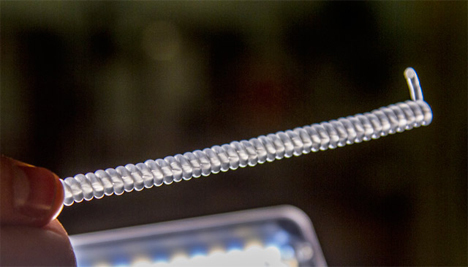 A materials science research group at the University of Texas at Dallas began experimenting with these mundane material, twisting a plastic fiber under high tension until it was unable to twist any further. At that point, the material began to form a tight coil. When the plastic can’t coil any further, the coil is locked into place. 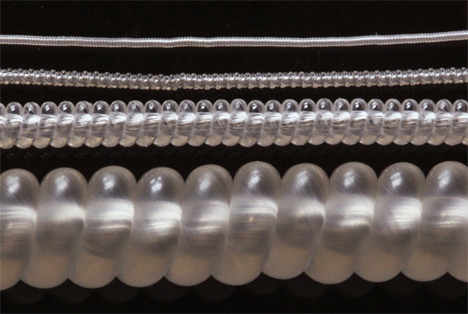 At this point, the coil can be considered an artificial muscle. When heat is applied, the molecules in the plastic coil contract and shorten with a surprising amount of power: more than 100 times that of biological human muscles of the same length and weight. The muscle is said to be more energy dense than jet engines. Moreover, the synthetic muscle is extremely durable and very inexpensive. The process is simple and the materials are easy enough for anyone to obtain, but don’t dismiss this as merely a future high school science experiment. The applications of the synthetic muscle are varied and plentiful; they could be used in everything from robotics to textiles to ventilation systems. The only problem is that the artificial muscle is, at this point, still inefficient – but researchers are already working on improving this incredible, inexpensive technology.